This is one of my favorite bridal portraits shot at the best venue in Central New Jersey-Grounds for Sculpture. If you are planning a wedding and live anywhere in the tri-state area, I highly recommend this venue. 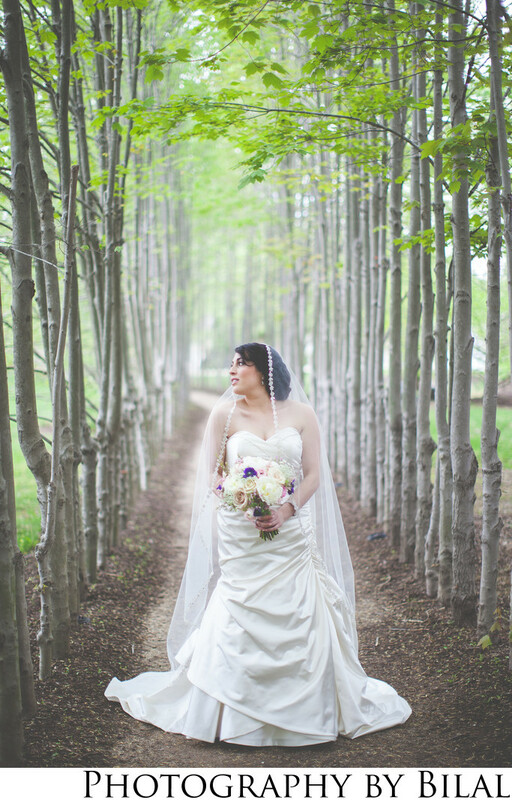 This image of the bride was shot in the middle of a tree lined path is a famous spot for wedding photos. It's no surprise why, it really is magical and beautiful.